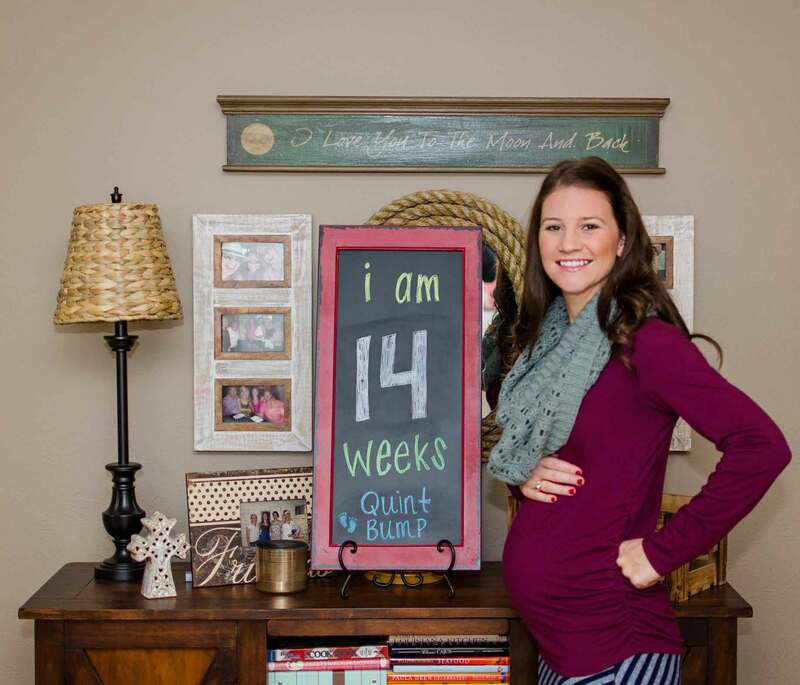 Here is my 14 Week Quintuplet baby bump photo. This week, I have started to feel the babies move. It started the other day when bending down to pour Blayke some paint for her bathtub paint set. It seriously felt like Blayke reached out and jabbed me in the side with the paint brush. Poor Blayke thought i was going crazy when I let out a Yelp and asked her why she did that. I can’t imagine what this is going to feel like when i start to feel all of them moving together. We have another specialists appointment with Dr. Reiter tomorrow. Hopefully we have a chance to get a video of these babies moving, so that you guys can see what we see. It’s a pretty awesome and emotional sight! Fingers Crossed!